Jio offers prepaid recharge plans starting from Rs 19 to Rs 9,999 to its prepaid customers. Reliance Jio's prepaid recharge plans are priced aggressively. Some of Reliance Jio's prepaid recharge plans are a major hit among customers. While unlimited voice calls is offered across all Reliance Jio's plans, data benefits, free SMSes and validity of the plans vary. Reliance Jio, the latest entrant in the country's telecom sector, has shaken up the market with its competitive data pricing. 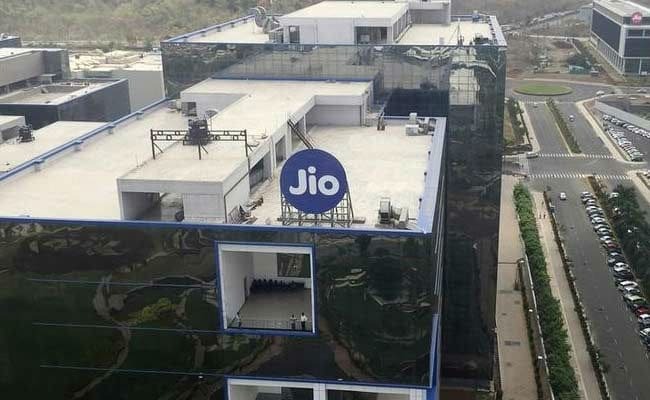 Competitive pricing by Reliance Jio, which offers telecom services under brand name Jio, has forced other operators to revise their offerings. The prices of Jio's prepaid offers start from Rs 19 and go up to Rs 9,999. Under its recharge plan priced at Rs. 149, which is valid for 28 days, Jio offers high speed data of 4.2 GBs with a daily limit of 0.15 GB. The speed is reduced to 64 kbps after the customer exhausts the daily limit. SMSes are capped at 300. Jio's Rs. 399 recharge pack comes with a validity of 70 days. Among other benefits, Jio offers 70 GB of high speed data with a daily limit of 1GB under its Rs. 399 plan. 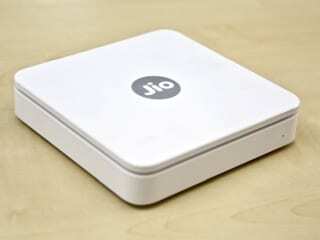 Like other prepaid packs offered by Jio, the data speed is reduced to 64 Kbps after the daily limit, according to the Jio website. For Rs. 459, a Jio prepaid customer gets high speed data of 84 GB over a validity period of 84 days, with a daily usage limit of 1 GB. The data speed is reduced to 64 Kbps after the usage of daily limit. In Rs. 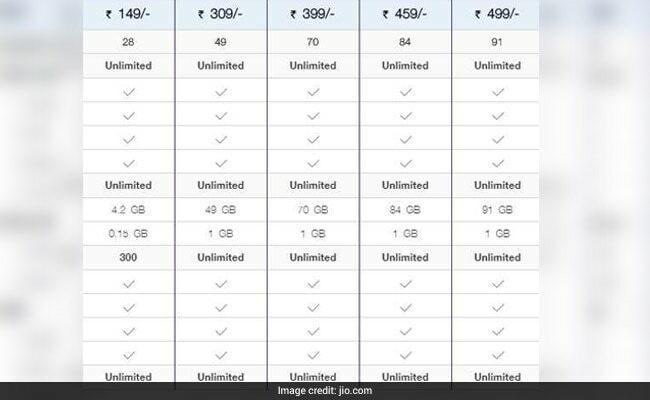 499 plan, Jio offers 1GB data per day subject to a maximum limit of 91 GB data for 91 days. Post the usage of daily limit, internet speed will get reduced to 64 Kbps.